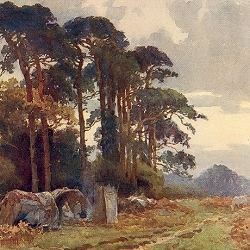 'The New Forest', pictured by Ernest Haslehust and described by Elizabeth Godfrey, was published in 1916, as part of the 'Beautiful England' series. Godfrey's descriptions of the Forest of the time evoke memories of a quieter age, yet are plainly recognisable as the Forest we know today. Haslehust's superb watercolour illustrations maintain the same quality throughout the 'Beautiful England' series. 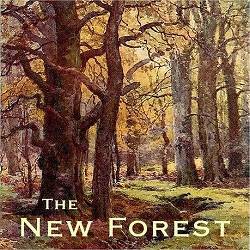 Here, the book is faithfully reproduced as a CD-ROM for Windows PCs or Macs, with the original text and illustrations, and complemented by a collection of photographs and artwork of the Forest, and links to New Forest resources on the internet. The CD also includes Adobe Acrobat Reader software, free to install.